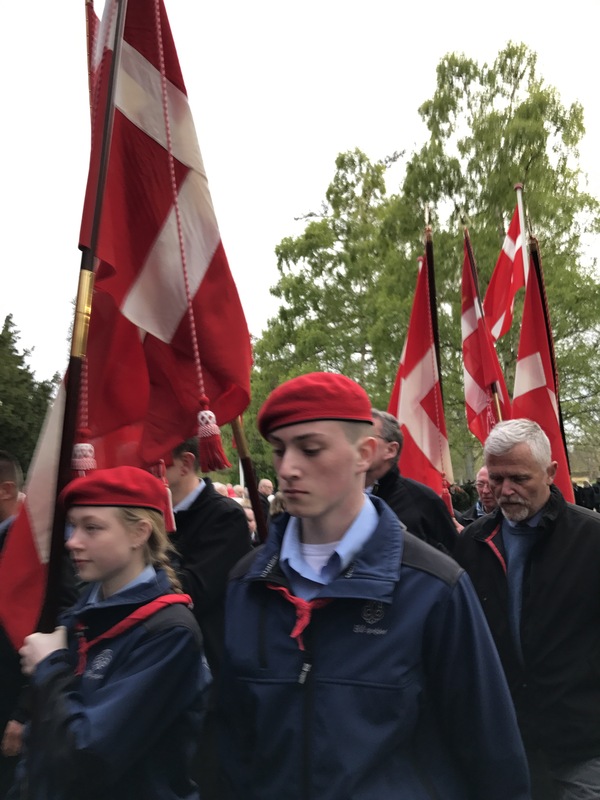 Yesterday I came upon a celebration in the park across from my hotel in Odense. 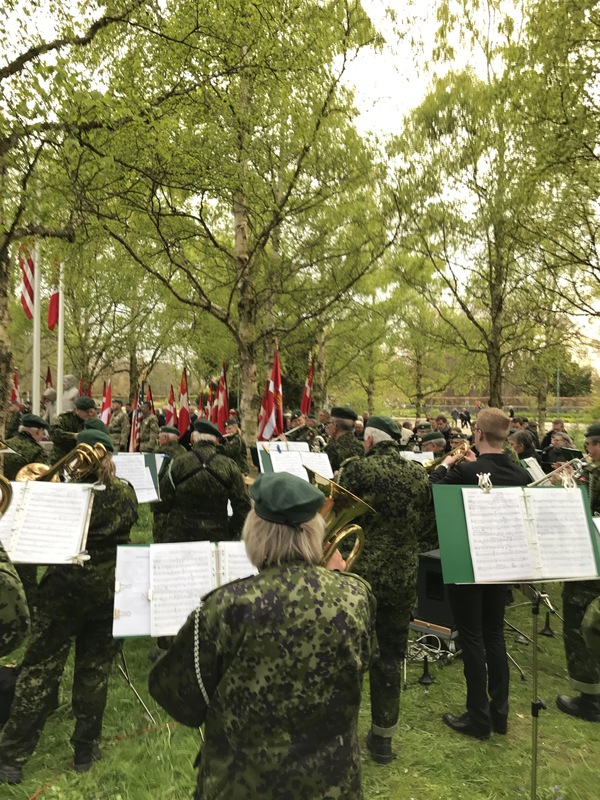 A military band was playing tunes from the World War II era, accompanied by a chorus of civilians. The gentleman in the coat and tails, pictured above, kept a path open through the crowd. Why? 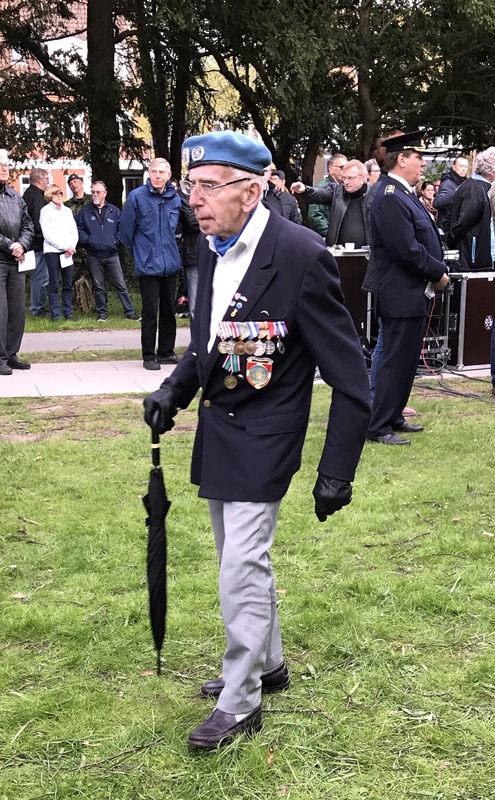 To keep a path clear for people like this elderly hero of the Danish Resistance. When the Nazis overran Denmark in April of 1940, they just wanted the tiny country for strategic reasons. Danes were allowed to govern themselves for a couple of years. The people gritted their teeth and cooperated to some extent in order to survive. But underground, the resistance grew quietly. The Nazis tightened their grip and demanded that all the Jews be deported. 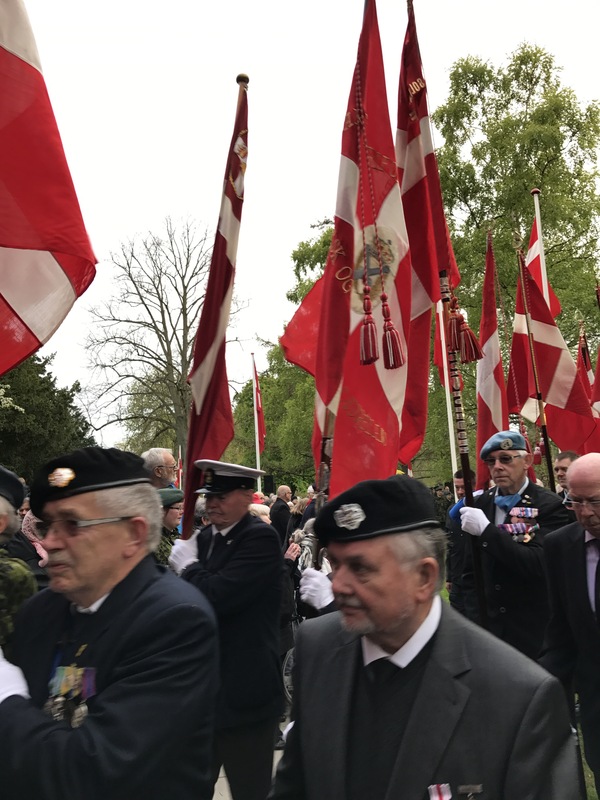 Right under the noses of the Nazis, the Danes got together with their hated historic enemy Sweden. (They still don’t care much for Sweden). But Sweden was neutral, and so hundreds of boats spirited all the Jews across the water to Sweden, a few at a time. Virtually none were lost. Then the Danes turned their attention to matters like blowing up bridges and helping the Americans, the Canadians, and the British. 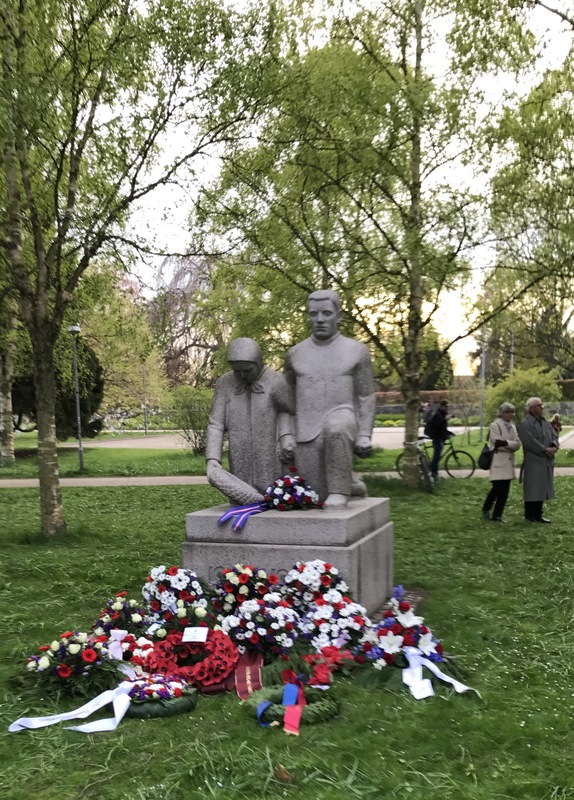 Liberation came at 8:30 pm on May 4, 1945. 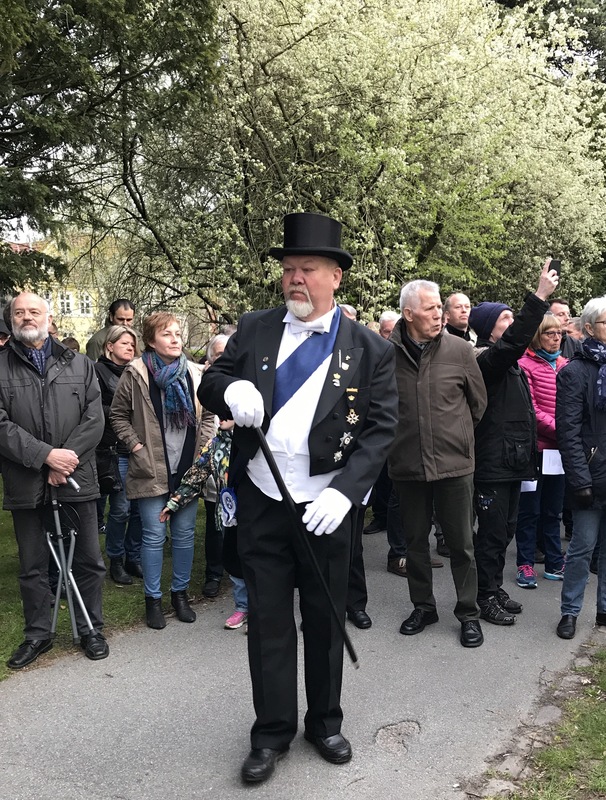 At 8:30 last night, May 4, church bells rang all over town and everybody from the park filed into the nearby cathedral for a service of thanksgiving. 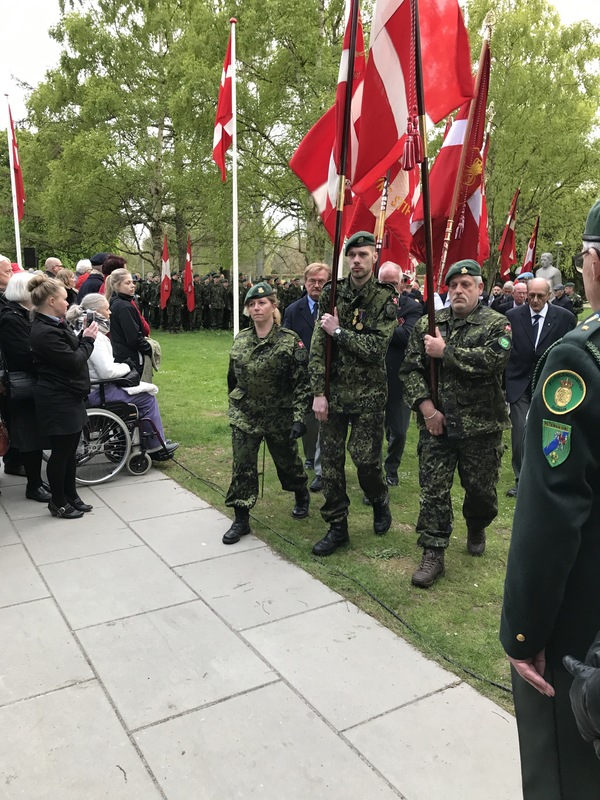 Danish soldiers carried the flags of Denmark, the U.K., Canada, and the United States. 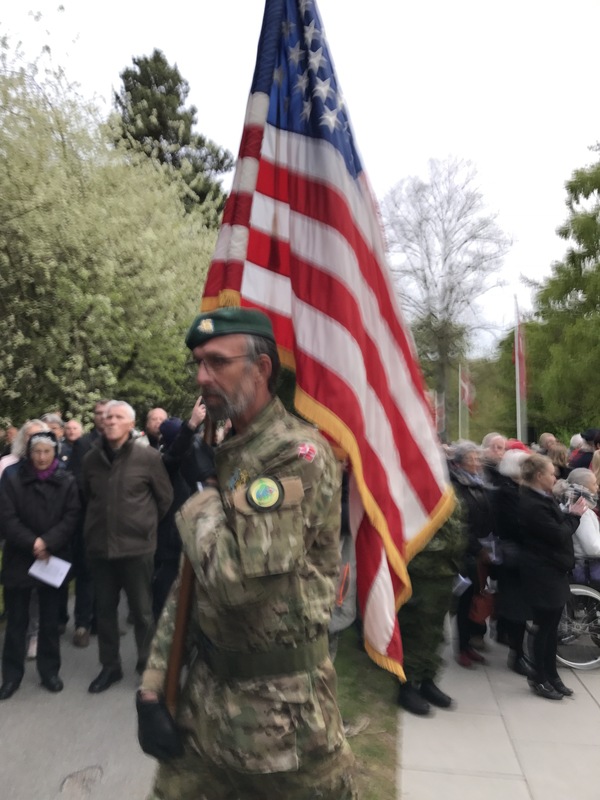 Later, I thanked the soldier carrying the US flag. He and his friends thanked me for being Americans. I cried. This really was a moving ceremony. When I left on this trip, I registered as always with the US State Department. They sent me two different travel warnings, advising me to avoid crowds and and any kind of public gathering. 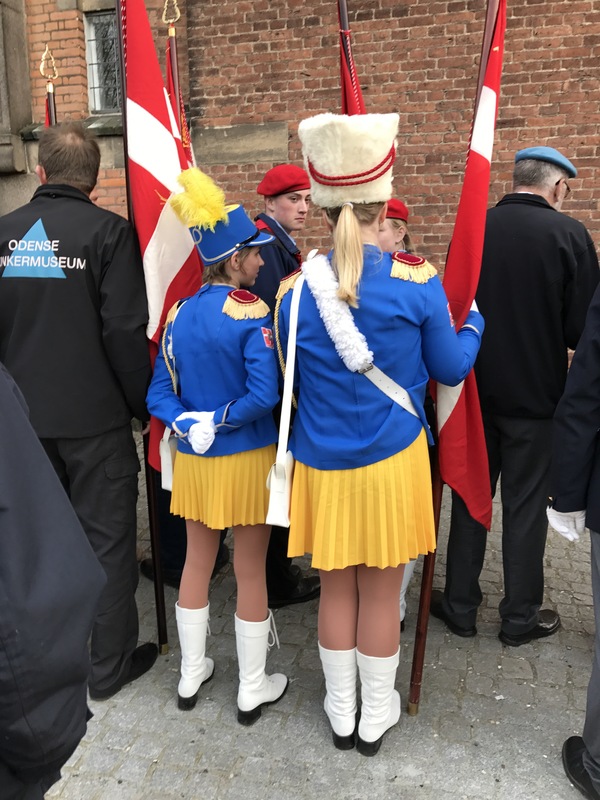 I am so glad I didn’t avoid the May 4 celebration in Odense, Denmark. I stood around outside the church before the service and talked with Danes, who mostly speak perfect English. I thought about going into the church for the service, but it was all in Danish and looked like standing room only. So I just walked back into the park and contemplated the war memorial. In spite of what’s going on in my country right this minute, I’m still proud to be an American. I trust that after some dark days, we’ll be able once more to stand with those less fortunate than ourselves, and welcome people into our country. Our young people, like young people everywhere, are our hope for the future. This entry was posted in Uncategorized on May 5, 2017 by Claudia Suzan Carley.